How to Sell Gold in Delhi NCR? When we plan to trade our valuable items to get the cash, we first remember it. It comes in many forms like jewelry, bars, biscuits, ingots etc. While dealing with them we have them in several shapes, sizes and weights. The least one starts from half a gram. It can be of more weight too like two grams, three grams etc. They are normally easy to trade, as you can give away number depending on your need. There are very important points you should remember when you sell gold online in Delhi NCR. If you are skeptical about any issue, we are ready for discussions. We are open to all discussions when you sell gold at Cash for Gold Delhi NCR. We finally decide a price keeping in mind the requirements and limitations of both parties. All jewelry buyers who purchase jeweler may not accept when you sell gold in Delhi NCR. We accept them and we also pay the price that is equal to the market price. Our transactions are made very simple and very secure. If you need it in case we will arrange accordingly. Our payment gateway is a very safe one. We can also arrange a pickup service if you are living in our vicinity. Customer satisfaction is our most priority. We make you feel safe and comfortable when you come at our out let to sell gold and silver in Delhi NCR. Our customers always revisit us and say that we are the best place for their transaction and safe place. We are available all days and you can reach us any time. 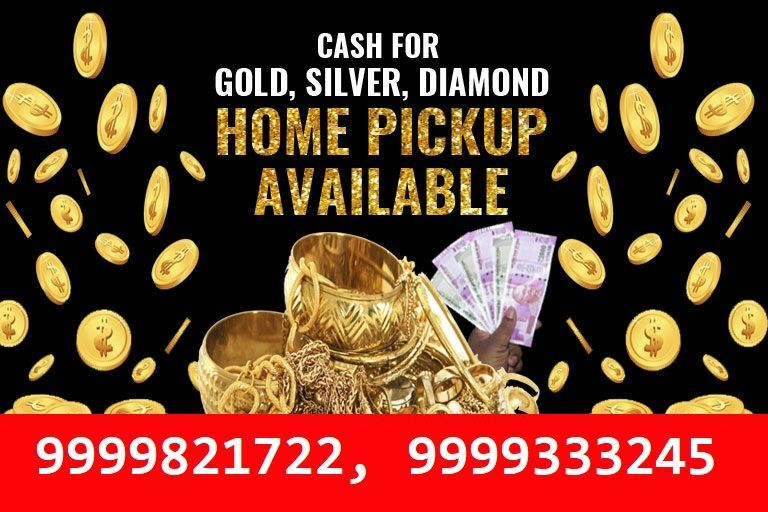 If you want the free home pickup service of Gold Buyer in Delhi NCR then you need to dial our helpline number +91-9999821722, 9999333245. You can contact us any time at this number to sell your jewelry.